We begin this episode of Pittsburgh 360 with the third installment in our series Men & Cancer and focus on a young man who found himself facing the diagnosis of testicular cancer. Then we take you into the Pittsburgh Public Market in the Strip District for a look at their fully licensed commercial kitchen and how it could impact our economy. Finally, we conclude the episode by going inside the Carnegie Museum of Natural History for a peak at the exhibit RACE: Are we so different? 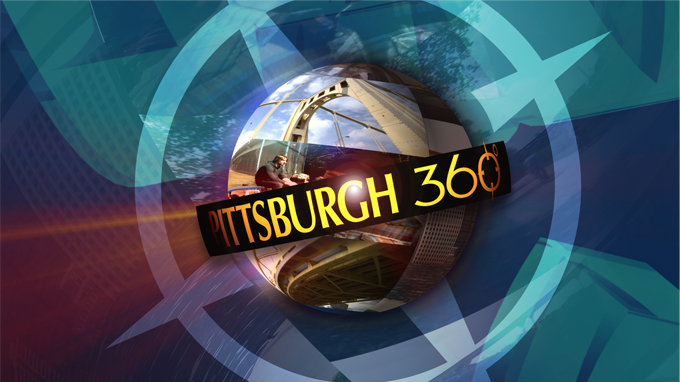 Pittsburgh 360: Men and Cancer Ep. 3, Pittsburgh Public Market & Regarding Race aired on Oct 16, 2014. In this episode of Pittsburgh 360, Michael Bartley reports on a eight day interfaith pilgrimage to Rome and Israel led by Pittsburgh Catholic Bishop David Zubik and Rodef Shalom Rabbi Aaron Bisno. Also, Tonia Caruso visits local company, DDI, which is considered one of America's best places to work.Viewers also meet a Carnegie Mellon University graduate who played an instrumental role in designing the look of a new "Barbie" doll, modeled after a Computer Engineer in Beauty, Brains and Barbie. Chris Fennimore visits Pittsburgh's Fat Club where local chefs meet once a month to share ideas, techniques and review each other's recipes. And Mike Lee tours the recently-opened Pittsburgh Public Market in the Strip District. This episode features a late night trip toPittsburgh's popular Carson Street with Pittsburgh Police, the celebration of a local sports enthusiast holiday, and an inside look at Ken Burns' new show that takes his coverage of America's pastime into "extra innings." This episode features a local company which is using solar power to purify and desalinate water, and a group of local non-profits which have developed a program to help some of Pittsburgh's most at-risk teenagers to stay in school and strive for college. Also a visit to a video game production company on Pittsburgh's South Side.